Happy Canada Day! What is the most “Canadian” thing that I have ever done? Tons! My definition may be different from yours, especially coming from someone who couldn’t get enough of the “Canadiana” section at Chapters. One thing that comes strongly to my mind is…Road Trips. I can’t think of a better way to experience Canada than to drive across the Trans-Canada Highway through the beautiful vastness of the country. A few years ago, I drove from Vancouver to Toronto. I was inspired (semi-consciously) by Michael McGowan’s One Week. I didn’t meet Gord Downie, Emm Gryner or Grumps, but I did encounter average Canadians who were kind, friendly and each had a life story of their own. 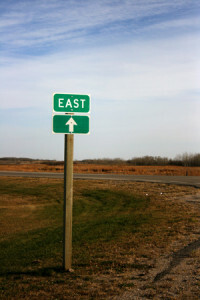 They questioned why I was heading east when most people head in the opposite direction to the west coast. The grass is seemingly greener on the other side.